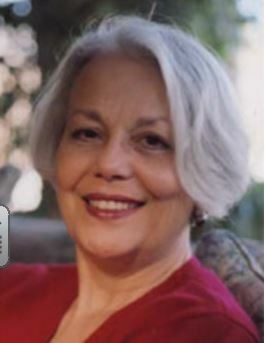 American educator Sonia Nieto has dedicated her life to ensuring that all children get the education they deserve no matter what their background, culture, or language. From her beginnings as an elementary level teacher at PS 25 in the Bronx, one of the first totally bilingual schools in the northeastern United States, to her work with future teachers as a professor of language, literacy and culture at the University of Massachusetts, she has brought energy and voice to multicultural approaches to education. Nieto has written numerous books and articles. In the following excerpt from The Light in Their Eyes (1999, pp. 49-50), Nieto looks at the dynamics of culture. Culture does not exist outside of human beings. This means that cultures are not static relics,stagnant behaviors, or sterile values. Steven Arvizu’s (1994) wonderful description of culture as a verb rather than a noun captures this essences of culture beautifully. That is, culture is dynamic, active, changing, always on the move. Even within their native contexts, cultures are always changing as a result of political, social, and other modifications in their environment. When people of different backgrounds come in contact with one another, such change is to be expected even more. But cultural change is not simply a one-way process. The popular conception of cultural change is that it is much like a transfusion. As one culture is empties out of a person, a new one is poured in. In this conception, each culture is inert and permanent, and human beings do not influence the process to any significant degree. But the reality is that cultures are always hybrids, and that some people select and reject particular elements as suitable or not for particular contexts. Cultural values are not gotten rid of as easily as blood, nor are new ones simply infused…Just as there is no such thing as a “pure race,” there is likewise no “pure culture.” That is, cultures influence one another, and even minority cultures and those with less status have an impact on the majority cultures sometimes in dramatic ways. Rap music, with its accompanying style of talk, dress, and movement, is a notable example among young people of diverse backgrounds in urban areas. How does it influence the way you choose to live your life?